Christmas is a time for relaxing, eating, drinking and enjoying the company of family and friends. But December can also be quite stressful; you have to work out things like visiting relatives, buying presents, and cooking meals for guests. So instead of another Christmas like this, why not plan ahead for the next one and have a destination celebration? Imagine what Europe would be like during Christmas! Below are some suggestions for where to go. You may have experienced – or thought about experiencing – Italy for the Colosseum or the ruins of Pompeii, but have you ever associated this country with castles? Staying in an Italian castle during Christmas time is a dream brought to life; be amazed by the spectacular surrounding landscapes. In particular, consider staying in CastelBrando. The castle itself is exquisite and its location in the foothills of the Dolomites makes it a wonderful gateway to more of Italy’s wonders. 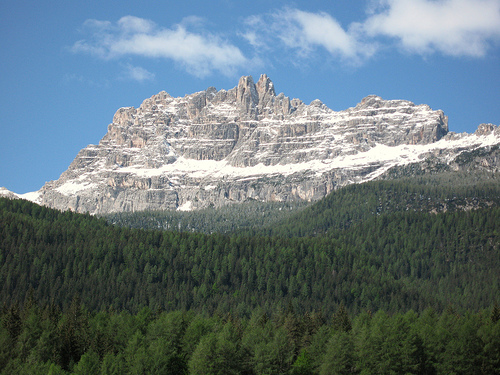 Take a day trip to explore the intricate canals of Venice or the Italian ski resort of Cortina d’Ampezzo. For the full castle and Christmas experience in Italy, look to touring companies that specialise in European itineraries, such as Albatross Tours. Austria truly is a wonderland in winter, with magnificent snowy backdrops and traditional Christmas celebrations abounding. The city of Salzburg is especially hard to pass by. A home away from home for classical music and movie lovers, Salzburg is the birthplace of Mozart and the setting of many scenes from The Sound of Music. You can soak up this history while sitting in a restaurant with hot chocolate and biscuits. Plus, you could take a cruise across Lake Wolfgangsee to the Strobl Advent Markets, explore the salt mines deep in the Bavarian mountains, and marvel at Königssee, an alpine fjord surrounded by steep cliffs. Wanting a fairy-tale Christmas shouldn’t just be reserved for children. After all, when you imagine a European Christmas, a fairy tale is often exactly what comes to mind. If this is what you want, look no further than Germany. Medieval cities and towns dot the country, with many of their cobblestone streets and castle turrets gaining a soft coat of snow during winter. The village of Hohenschwangau, home to the famous ‘Mad’ King Ludwig’s Neuschwanstein Castle, might be your destination of choice for some real Christmas magic. 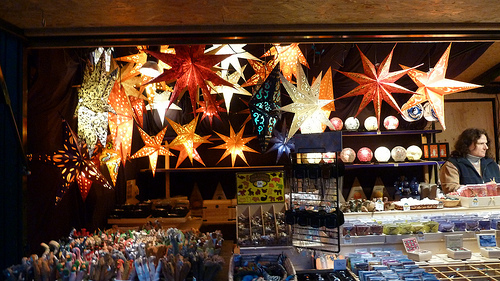 If it’s Christmas markets you’re after, there are plenty to choose from in Germany, but the ones held in Nürnberg are particularly beautiful. Imagining Christmas in Europe brings up images of quaint houses with sloping, snow-covered roofs set amongst the backdrop of spectacular mountains. This is Switzerland all over. Grindelwald is one Swiss town in particular that offers Christmas magic for its guests through its abundance of snow-laced meadows and mountain peaks. Interlaken is another worthy stopover at Christmas time, as is the homely city of Luzern with its famous wooden bridge. 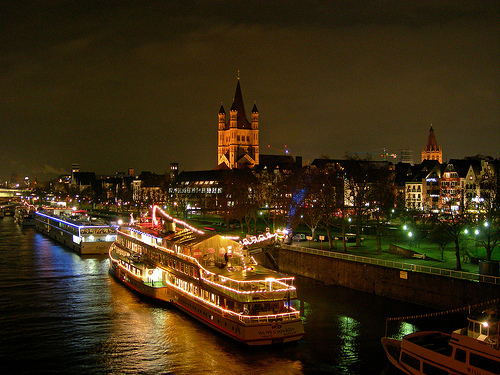 Christmas should be a time for celebration and a little bit of magic, and you can’t get more magical than Europe. Planning ahead for this time of year – particularly if you want a faraway vacation – is the best way to create memories that will stay with you for years to come. We are heading to Europe this Christmas for a white Christmas experience. 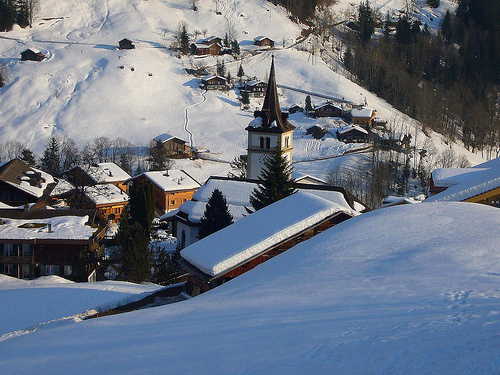 Markets in Germany and Austria, skiing in Italy. We’ve read so much about it, the year will no doubt pass slowly. Thanks for the article.